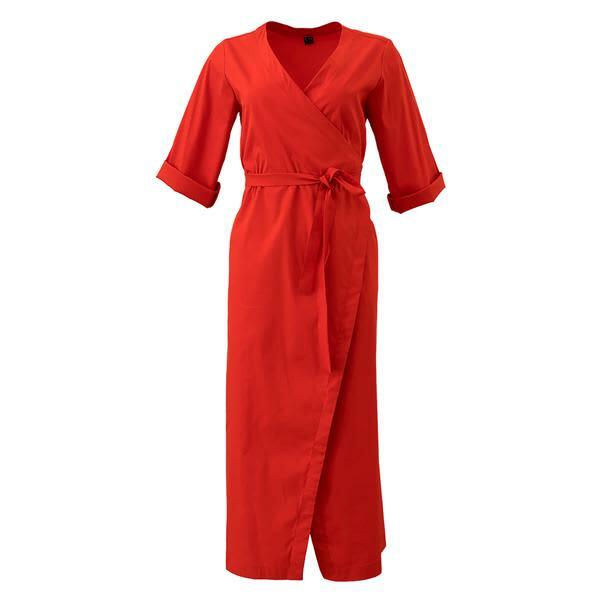 Corvera Vargas' Sandra dress is a long wrap dress designed with V-neckline, 3/4 sleeves, and two side pockets. Comes in red colourway. Made in Poland.